August has arrived. Congress is in recess. Hooray! Silly season is accelerating as the elections grow closer, and it’s time to do our traditional August perspective shows instead of chasing news. This weekend Carl Teichrib from Forcing Change in Canada (www.forcingchange.org) returns to the program for a penetrating discussion of…well, everything we’re experiencing right now, as seen from the point of view of elitists who have promoted a global government for the last century. John’s boralogue examines hidden issues behind the rising turmoil in the Middle East as the region moves toward a series of conflicts over turf, religion, economics and oil. 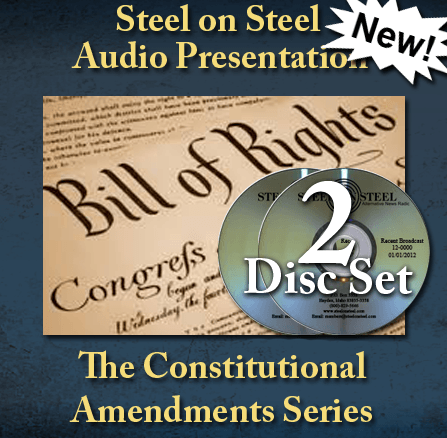 What are the Amendments to the Constitution and why are they crucial to a free society? How did the United States struggle to declare and protect these statutes? In an 18 episode series in the fall of 2014, John interviewed constitutional attorney Michael Connelly on the 27 amendments to the U.S. Constitution; The first ten being the Bill of Rights. Follow the discussion over several months as we enumerate and elucidate these basic rights and laws that govern our uniquely American society. Will we as a people have the resolve to protect these rights and preserve the founders’ intentions for a truly free and self governing Republic? 2 Audio CDs – 101 min. Full-Length MP3 Download – 101min. – 48Mb. Zip file containing 19 individual MP3s – 96Mb. If It’s so Bad, Why do People Come Here?